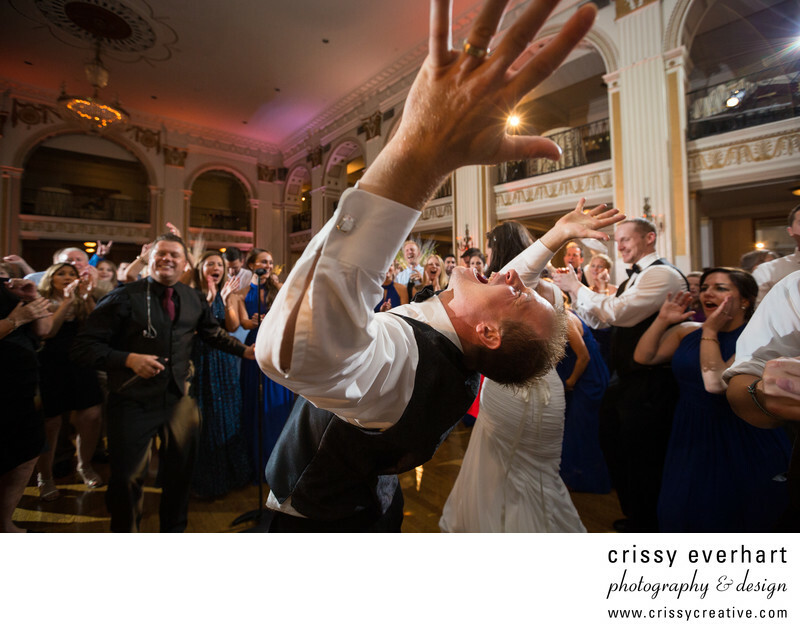 Groom throws his hands up, head back, and sings! This wedding was such wild party! The band Masquerade kept the guests dancing all night long, and the bride and groom never left the dance floor. It was a beautiful and amazingly fun wedding at the Ballroom at the Ben in Philadelphia. You can see the band leader in the background of the photo laughing, and the guests yell and cheer him on as he dances his heart out!